Upscale and economical! Attractive waste containers sure to enhance the image of any location. Large 42 gallon capacity is perfect for high-traffic locations - indoor or out. These containers are big and beautiful, with a open top for easy access, a patented Grab Bag™ and polymer concrete side panels that look and feel like stone. Ships unassembled in one carton. Easy to assemble and maintain. 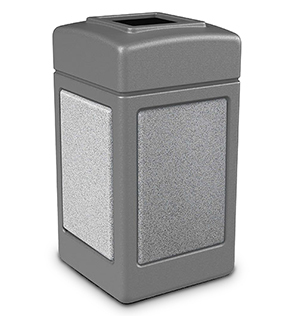 Waste container molded from long-lasting polyethylene. 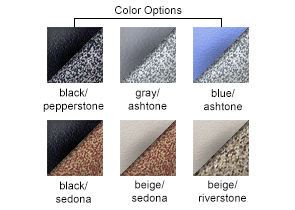 Durable panels made from reinforced polymer concrete.